If you feel that your son is suffering from an internal battle then he could benefit from treatment programs for problems related to suicide for troubled teens in Utah. When dealing with thoughts of suicide it is highly important to find teenage boys the help they need as soon as possible. Liahona Academy is a treatment center for troubled teens located in Utah that can provide him the recovery he needs. Call today at 800-675-8101 for more information. While each and every person is unique and different, the above list is some common causes for suicidal tendencies. As parents, you can detect warning signs that your son needs help. 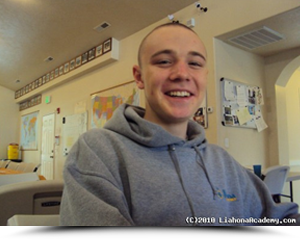 Liahona Academy is an all boys residential treatment center that provides troubled teens the help they need to overcome thoughts of suicide and feelings of severe depression. The professional staff at Liahona Academy creates a safe, therapeutic environment vital to the healing process in teens while residing in the beautiful area of Utah. While residing at the treatment center, your son will have access to traditional therapy, recreational therapy, daily challenges and an unsurpassed education program so that he can find recovery in all aspects of life. We highly recommend Liahona Academy to troubled teens in Utah searching for suicide treatment centers. We are confident that your son can not only find recovery, but also find a new perspective on life. Please, call Liahona Academy at 800-675-8101, this program will be able to save your son’s life.